Big data in pharmaceutical: big future? 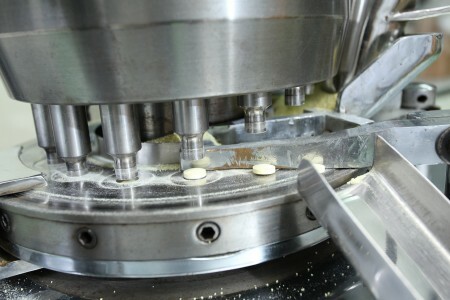 The pharmaceutical sector is one of the UK’s largest manufacturing sectors in terms of employment and economic value. But after years of rising costs and a falling behind in efficiency, the industry has turned to big data to help shape its future. James Pozzi explores. With the global market for medicines forecast to grow from its £612bn in 2011 to £770bn by 2016 according to research by the IMS Institute for Healthcare Informatics, big pharma will continue to be big business. The UK is also a sizeable player in the global market with an estimated £60.1bn annual turnover. It also operates with genuine industry heritage, having developed drugs including propranolol, salbutamol and ranitidine since the 1950s. While home to two of the world’s ten largest pharmaceutical companies in GlaxoSmithKline and AstraZenica, the UK has been an attractive destination for inward investment. From 2007-2010, it was estimated the UK’s drug and pharmaceutical inward investment stood at £7.3bn. Around 54% of this investment was in R&D operations, the highest in Europe. In addition to inward investment, companies with existing operations or headquarters in the UK represent the most significant investors in business R&D in the country. In 2012, UK R&D spend by the pharmaceuticals sector accounted for 24.6% of all R&D spend in UK businesses. But while the industry makes up a sizeable proportion of UK R&D spend, even its most staunch loyalists would concede that the pharmaceutical industry has been slow in relation to other sectors when tackling its own inefficiencies. And inefficiency is a term that continues to haunt the industry as patents expire, innovative medicines fall short in getting to market and integral bedfellows such as the National Health Service see budgets tightened. Ultimately, this is resulting in millions of pounds of lost revenue. With remedies sought, many believe a steadfast solution is taking shape in the form of big data. As one of the pharmaceutical industry’s buzz words of the past five years, big data has been been deployed successfully in everything from marketing to sales. And now it appears R&D divisions of pharmaceutical companies are next in line to exploit the potential of big data in the hope of widening those ever tightening margins. And while the life sciences industry has used big data in various guises for decades, the move towards the concept in its current form was a long time coming and could provide the industry with the needed step change. Few would dispute that the mass pharmaceutical adoption of embracing innovation and essentially opening up its previously secretive practices has been done out of necessity as a result of the changing global market. Business secretary Vince Cable announced the £23m Reconfiguring Medicines end-to-end supply (REMEDIES) fund earlier this year, bringing together academia and industry in an attempt to reinvigorate pharmaceutical supply chains. As part of the government’s Advanced Manufacturing Supply Chain Initiative (AMSCI) body which contributed £11m to the project, the likes of GlaxoSmithKline and AstraZeneca have combined with academic institutions including the University of Strathclyde to research a number of industry issues. The initiative will evaluate new technology within UK pharmaceutical’s supply chain, focusing on more patient-centric approaches and the integration of end-to-end supply chains. 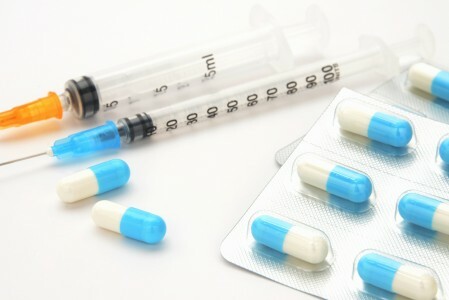 Solutions will be sought for industry problems including inventory across the entire supply chain, and weak ‘right-first-time’ processing which is hitting the global pharmaceutical industry in the pocket to the tune of £20bn annually. But Mr Chougule believes that when surveying the industry’s future, there is cause for optimism. But in order to meet the big data challenge, he feels manufacturers will need to transform themselves away from current siloed operational structures towards more unified and inclusive models. Essentially, embracing transparency. “This shift will require greater openness within R&D organisations’ various departments, but it will also mean manufacturers will need to be prepared to work more effectively with third party organisations – and even competitors – to create marketable products,” he says. Examples of the industry’s big players embracing Big Data become more commonplace as costs continue to soar and supply chains becoming ever more elongated and complicated. Pfizer, the world’s largest pharmaceutical company, started its Big Data revolution in 2011 with the aim of bringing better treatments to the market. It developed the Precision Medicine Analytics Ecosystem, a program that joins together genomic, clinical trial, and electronic medical record data to spot opportunities to deliver new drugs for specific patient populations. Other leading names such as industry giants Switzerland’s Novartis and GlaxoSmithKline, the UK’s largest pharmaceutical company, have also grown their big data usage to influence how they develop and bring new and existing drugs to market. The UK’s second largest pharmaceutical company, AstraZeneca, started the overhaul of its entire process three years ago. The company, which employs 6,700 in the UK and was the subject of £69bn takeover attempt from Pfizer earlier this year, was widely acknowledged as having one of the least product R&D departments in the entire industry. In 2012, Forbes gave AstraZeneca the unwelcome distinction of having the worst spend to market ratio among the world’s biggest pharmaceutical companies. Its pipeline produced just five approved therapies in the fourteen years up to 2011 at a cost of $11.7bn in R&D budget. Given its seemingly infinite capabilities, big data presents both a challenge and an opportunity for the pharmaceutical industry. There is a genuine belief that collecting mass amounts of data on products, patients, and geographical markets will not only lead to the unlocking of medicines of the future, but also prevent health problems associated with existing drugs. This presents the possibility of every NHS patient someday having personalised healthcare. But in order to grow the UK pharmaceutical industry as a world leading R&D base, there are more human issues that go beyond the science of big data. The issue of the skills gap extends to the sector. As a knowledge-reliant industry, pharmaceuticals in the UK suffers from the shortfall in students taking science subjects. While it employs around 73,000 people domestically – 23,000 of which are in highly skilled R&D roles – it last year topped audit firm PWC’s talent challenge poll with 51% of respondents reporting it was becoming more difficult to attract talent into the industry. There is also the need for a competitive regulatory environment in influencing the pharmaceutical industry’s innovation process. The government, which highlighted the industry as a key component of UK R&D, introduced a new tax incentive in April 2013 to boost the country as a research hub. This included R&D tax credits above 10% for larger industry firms, and the introduction of the Patent Box, enabling companies to apply a lower rate of Corporation Tax to profits earned from UK patented inventions and other innovations. Long cited as a country suffering from higher industry overheads than those of its rivals, the UK industry has also been spooked by high profile domestic closures and subsequent job losses from the likes of Pfizer and Astra Charnwood. With the UK now ranked 10th in the global market having fallen from 2007’s position of ninth, the race to utilise big data effectively is very much underway. There is also a strong if somewhat understated SME market, which the Ethical Industry Medicines Group estimated accounts for 80% of all UK pharmaceutical innovation. What’s abundantly clear is that in order to utilise the power of prediction effectively and help create a more efficient and profitable industry, a culture of investing in infrastructure to accompany the growing sense of collaboration and transparency is critical. While the industry has experienced mixed fortunes, it could be that the power of prediction proves influential in curing the sector’s ills.